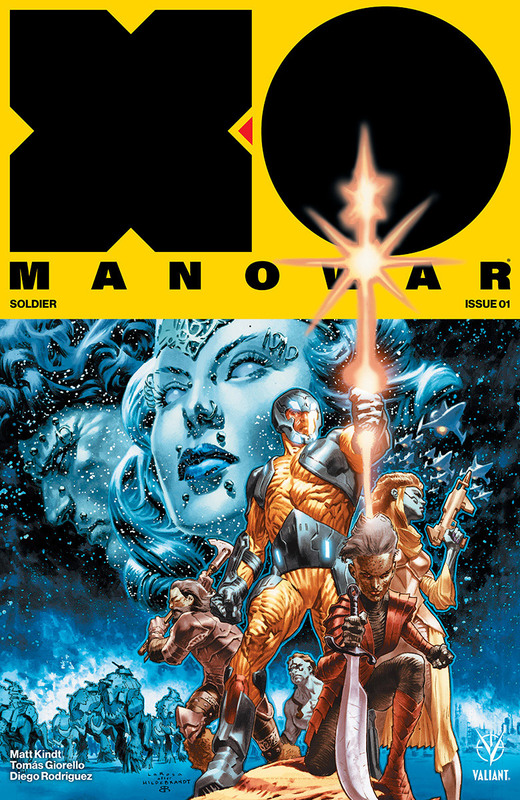 Congratulations to Valiant for their new X-O Manowar series topping 90,000 issues in sales. This gives it the top spot for the year so far in terms of independent comic sales. 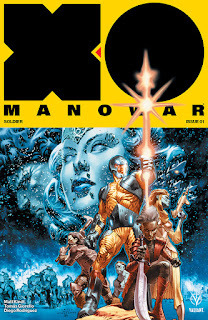 It's a spectacular read with great layouts and visuals. Sometimes I think the chests of Giorello's male characters are a little baroque, but the art is epic. 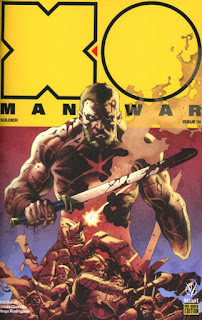 Matt Kindt is one of the best writers working in any field. 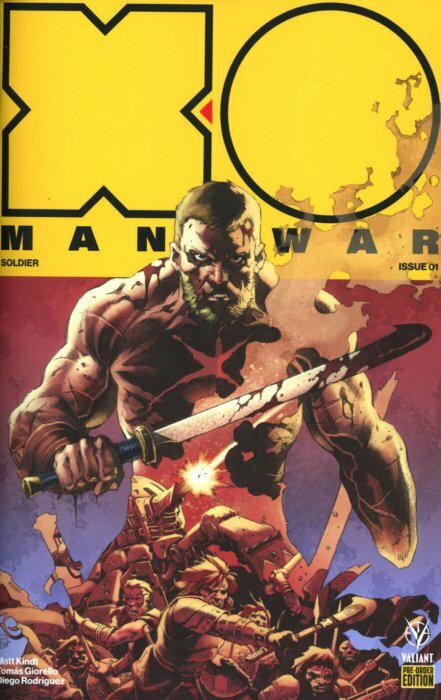 This series also allowed Valiant to experiment with their product in new ways, offering special incentives to readers and fans who had their LCS pre-order the first three-issue story arc "Soldier." Those incentives included extra pages of design concepts and a special cover. Of course that's the cover I have...and I think the original cover, the first shown here, is more beautiful. I am a homer, but it is a great read.